makes the patient a partner in working with all of the above aims. Click here to read more about Functional Medicine. Stresses and emotional issues can have a definite effect on pain and other medical conditions, and various therapies are available to begin to address these factors. Dr. Celeste Skardis has Level 2 Certification in the Spontaneous Transformation Technique. This brief interventional counseling technique can be very helpful with trauma. It can even be done over the phone. EMDR is a counseling method that has been scientifically proven effective in treatment of trauma, and it is useful in numerous other emotional situations. Dr. Celeste Skardis of NMPM studied EMDR with the founder, Francine Shapiro, PhD. The website of the EMDR International Association provides extensive information about this therapeutic method. The Atlantic magazine published this article about EMDR. The New York Times published this list of scientific studies supporting the use of EMDR. And, the New York Times maintains an Ask an Expert (Dr. Francine Shapiro, Dr. Celeste Skardis’ teacher) About EMDR Consults Blog. Dr. Celeste Skardis is the first Certified Access Consciousness Bars Facilitator. Click here for more information about Access. Dr. Celeste Skardis is certified in a counseling system called NLP, or Neuro-Linguistic Programming. She studied in the early 1980’s with Leslie Cameron-Bandler. Dr. Skardis was later certified in NLP by the Compass Institute. Click here for more information about NLP. Hormones are among the most influential substances in the human body. They control most physiologic functions in the body and can have a profound effect on our procedures for rebuilding damaged ligament, tendon and cartilage. Your whole endocrine system is very important. Natural bioidentical hormones may be prescribed on a very flexible, interactive basis. These may include progesterone, estrogen, testosterone, thyroid, adrenal and others. Some of these are applied as a transdermal crème or gel. Suzanne Somers speaks to a convention of physicians about bioidentical hormones. Dr. Jonathan Wright discusses the history of bioidentical hormone therapy in the US. Dr. Wright is interviewed here by Dr. Mercola. Acupuncture can help manage pain, energy, mood, and it is profound in treating numerous other internal medicine problems. In 1979, the World Health Organization of the United Nations listed medical conditions treatable with acupuncture. The FDA recently stated support for acupuncture. Read about acupuncture according to the US Department of Health and Human Services. Watch a video and read an article about the science of acupuncture, on the Mercola.com website. Here is a fun recent blog about acupuncture. Why infuse nutrients via IV? Because IV gets far more of the nutrients into your system. The difference between getting vitamins, minerals and amino acids by mouth and by IV is dramatic. Example: magnesium. Oral supplementation with magnesium has been shown to minimally impact serum magnesium levels, whereas IV administration can immediately double or triple serum levels. Example: Vitamin C. Vitamin C levels in the blood’s plasma can only reach 9.3 mg/dL with oral supplementation, while IV can raise them to 80.0 mg/dL. Example: Vitamin B12. Vitamin B12 is famous for needing to administered by injection or IV. Why? B12 is absent in many foods and low in others. If you eat large amounts of B12 foods such as red meat, it may commonly not be processed in the stomach where a secretion called intrinsic factor decreases with age, just as stomach acid gets less effective with age and other insults to digestion. Drugs that stop stomach acid also stop intrinsic factor and the ability to get B12 from meat. Finally, some people have problems absorbing B12 in the intestines. The result is that B12 often becomes lower than ideal, and IV becomes a wonderful way to supplement this crucial nutrient. Glutathione is a natural amino acid made by our bodies. Our own production may decrease with age and imbalances in gut and liver function. Glutathione is closely tied to immune function, to fighting acute viral disease, it is key to clearing the liver of toxins, and it helps eliminate toxic mercury. Vitamin B12 is important to PRP Stem Cell Therapy. It is a rate-limiting nutrient for DNA replication; that means that as we grow new tissue that needs new DNA in every cell, low levels of B12 can be a bottleneck that limits or slows our results. As such, we commonly provide IV B12 before most PRP procedures. B12 may also be a key to reversing neuropathy, the breakdown of nerve tissue that we believe is part of most chronic pain. Past that, B12 is potent in heart health, energy, and much more. Vitamin C is needed for building collagen as we repair ligament, tendon and cartilage. Scurvy is a connective tissue breakdown disease from Vitamin C deficiency. Oral supplementation over time can be adequate for this Vitamin C function, but IV supplementation in Dr. Celeste Skardis’ IV pushes insures greater, quicker dosing. Beyond this, IV Vitamin C has numerous other functions described in articles linked below. Magnesium is a strong pain and spasm relieving mineral. Magnesium IV is used to treat pain at major hospital-based pain centers, particularly pediatric pain centers. Some of the below links discuss a broad deficiency of magnesium in the general population. Magnesium effects numerous functions in the body, particularly in nerve and muscle tissue – see the links below this section. Glutathione IV. Glutathione is thought to be poorly absorbed through oral supplementation. IV Glutathione has dramatic effects of boosting immune response. Vitamin C IV. Vitamin C is quickly administered in 5 minute IV pushes. Higher dose Vitamin C is administered by a longer IV drip. We see severe cases of bronchitis and pneumonia turn around quickly with several closely grouped Vitamin C IV’s. Ozone IV. Ozone gas can be mixed with blood and reinfused immediately to work via oxidative medicine principles to stimulate stronger immune response. UV Light IV. Blood can be passed through strong ultraviolet light and reinfused to similarly stimulate immune response. This method was standard practice in US hospitals before antibiotics. We believe it works well and without the side-effects of antibiotics. UV IV can be combined with ozone and homeopathics. Homeopathic IV. The administration of FDA approved IV homeopathic medicines from Germany is another tool available for immune building and for many other therapeutic functions. In summary, individually formulated IV’s can have potent nutritional effects on pain, spasm, immunity, toxicity, mood, energy and many physiologic functions. This article has a section that clarifies how IV nutrients are dramatically stronger when compared to oral nutrients. If you’re ambitious and academically oriented, read this chapter from the thick textbook of the American Academy of Pain Management. About one widely used IV nutrient mix called the Meyers Cocktail. Simple article: most people are now deficient in magnesium. Dr. Mercola on oral, transdermal, and IV magnesium, and his most recent article on magnesium. Simple article: why is B12 so important? Magnesium, including IV magnesium, helps osteoarthritis in several ways. Study: IV magnesium for neuropathic pain. Study: IV magnesium for low back pain with a neuropathic pain component. Study: IV magnesium for headache. Study: IV magnesium for pain in general. Study: IV Vitamin C enhances stem cell function. Hundreds of supplements will be considered for your individualized needs. These may include enzymes, amino acids, minerals, neurotransmitters, vitamins, anti-oxidants, oils, protein powders, greens concentrates and more. 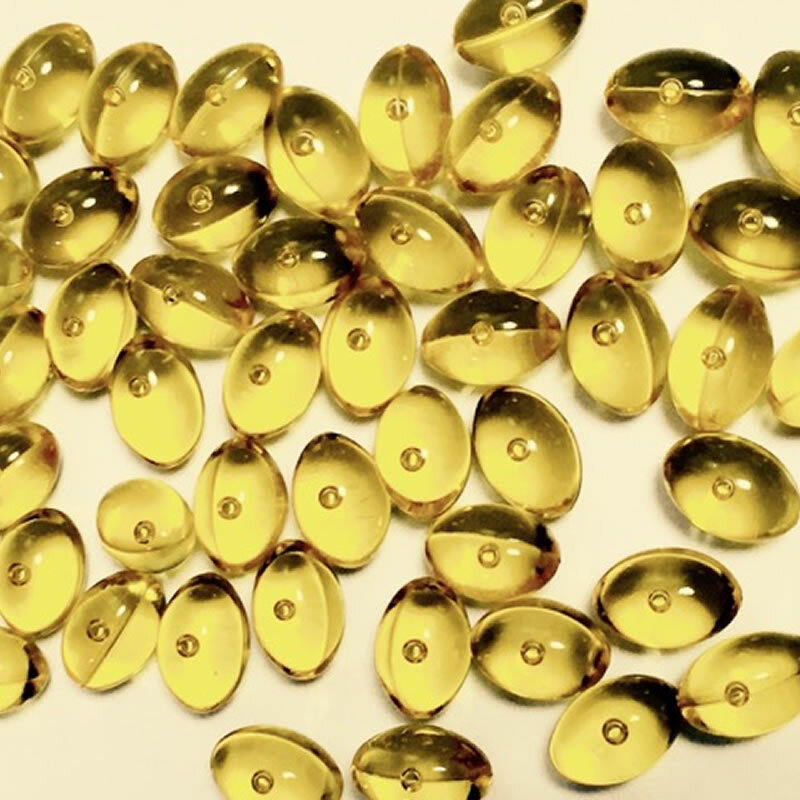 Click here for more information about Vitamin D.
Surprisingly, many people eat quite well. At NMPM we go beyond that to take into account your complex life style, body type, exercise needs, and pain issues to collaborate with you regarding your individual food style and together generate flexible strategies. Dr. Celeste Skardis has years of experience owning and operating a live-in wellness center teaching and providing deeply healing food to people of all ages. Watch this video for some eye-openers on real food. Based on thousands of years of experience, these medicines have an amazing array of valuable applications. Complex natural formulas can be used for needs such as pain, spasm, anxiety, sleep, emotional issues, and most all internal medicine problems – gynecological, urological, digestive, respiratory, etc. See Dr. Oz discuss Chinese Herbal Medicine on TV. Cleveland Clinic has a Chinese Herbal Medicine Clinic. In Europe some pharmacies have two entrances and two departments – one for allopathic drugs and the other for homeopathic medicines. A majority of French MD’s prescribe homeopathic medicines, as do large numbers in Germany and Holland. Homeopathy is part of the national healthcare system in Great Britain. 10 million people take homeopathic medicines daily. 40% of French people take homeopathic medicine. 25% of German people take homeopathic medicines. With non-toxic effects, these established international medicines should be considered in many patients’ cases. These non-toxic, easy to take oral medicines can be effective for patients of all ages, but homeopathy can often be particularly quick and dramatic with infants and children. Homeopathic medicines are most commonly used orally or topically; in some cases we may also consider administration by injection or IV. Here is a recent Dr. Mercola article about homeopathy as an evidence based medical therapy. Click here for high quality videos about homeopathy. Click here for an article in Wired magazine that explored the most recent scientific understandings of how homeopathy works. “What is Homeopathy?” by the National Center for Homeopathy. Introduction to Homeopathy be the US Department of Health and Human Services. Dr. Celeste Skardis of NMPM graduated as a Diplomate in Homeopathy from the Hahnemann College. 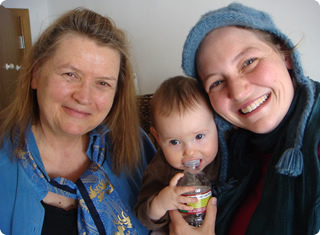 The principal instructor was the world renowned homeopathic author and teacher, Dr. Robin Murphy. Click here for podcasts by Dr. Murphy. ¿Qué es la Homeopatía? Breve explicación sobre que es la homeopatía. We utilize gentle hands-on manipulation to correct misalignments of bones in the spine and extremities. To complement manipulation, manual or mechanical traction elongates the spine which allows for natural repositioning of compressed vertebrae. Other manual therapy methods are utilized at NMPM to relieve muscle/fascia restriction and myofascial pain. Dr. Celeste Skardis has extensively studied and practiced the Sotai system of Japanese manipulation developed in 1970 by Keizo Hashimoto, MD. Dr. Celeste Skardis has found that it is a very effective system that can be applied clinically, and it can be used at home by patients. Exercise is a crucial part of most plans to rebuild parts of the spine or peripheral joints. Bones, ligaments and cartilage make up what is called the static or architectural stabilization system of the body. This is the deepest, most important system for maintaining structural stability. Muscles and their nerves comprise what is called the dynamic stabilization system. Thus, muscles also contribute to stability. Muscle strength and balance are thus usually very important components of most programs to eliminate your pain. Most programs to repair static stabilizers (ligaments, etc.) sooner or later need to be accompanied by active exercise-based self-rehabilitation. Some patients may be able to establish their own program with guidance from our physicians. Many others will benefit from referral to select physical therapists or other doctors who specialize in analysis of posture, muscle balance, and step-by-step instruction in peripheral and core strengthening.